Easy Vegan Burrito Bowl with black beans, veggies, and a creamy chipotle sauce! Assemble your own Mexican rice bowl with all your favorite toppings for an easy vegan weeknight meal. I love how a simple sauce can really elevate a dish. Sauces have taken recipes like these Black Bean Spinach Enchiladas and Southwestern Chopped Salad to a whole other level. So when I was craving a burrito bowl, I wanted a brand new sauce to drizzle over it. If you’d like to customize your own burrito bowl, see the notes and photos below the recipe for easy tips on building your own! 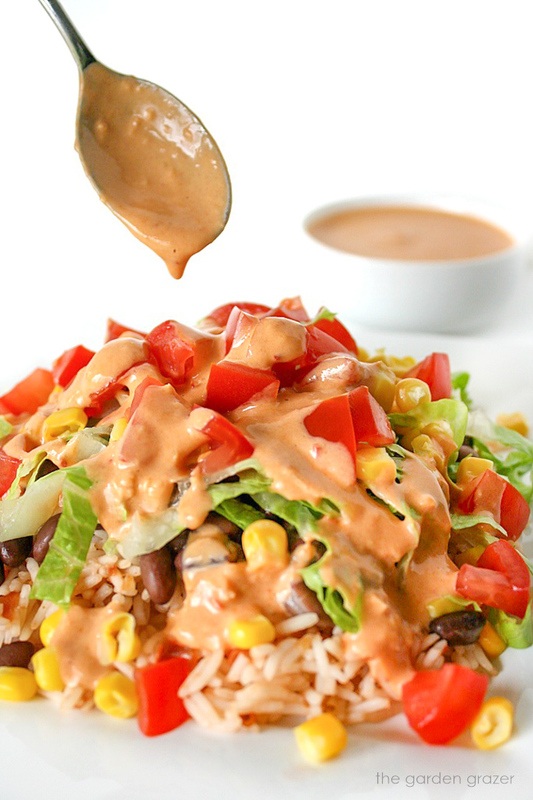 Easy bean and veggie burrito bowl with a creamy chipotle sauce! Assemble your own Mexican rice bowl with all your favorite toppings for an easy vegan weeknight meal. 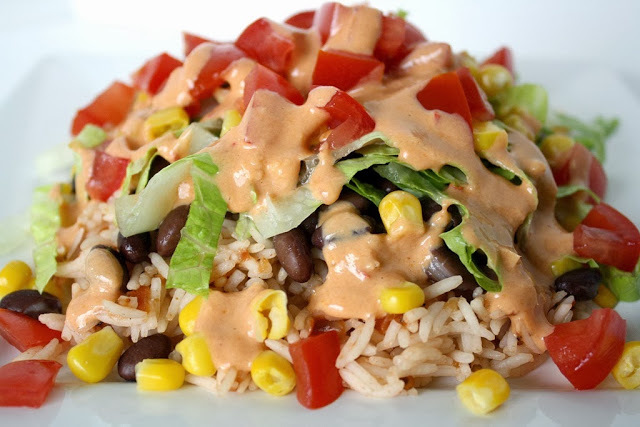 While rice is cooking, make the creamy chipotle sauce: scrape away the seeds from the chipotle with a knife (use caution when handling chipotle, and wash your hands when done.) 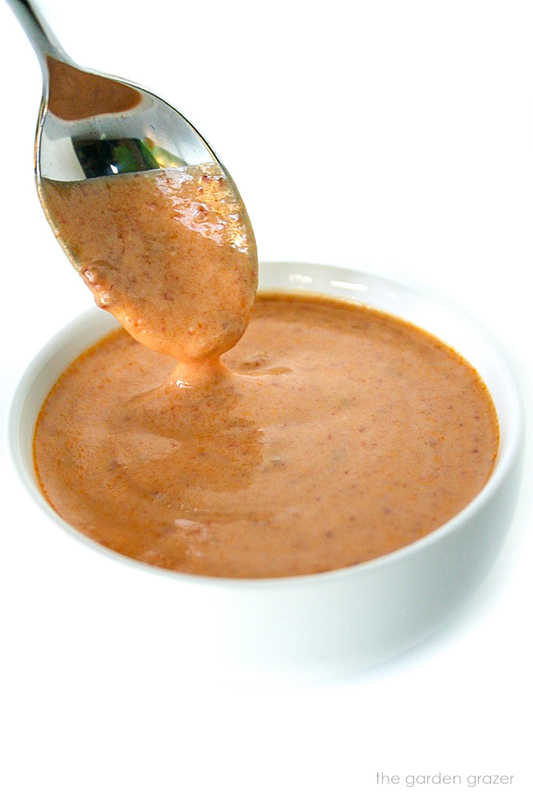 Add all sauce ingredients to a blender or food processor and blend/pulse until smooth. Chop the romaine and dice the tomatoes. 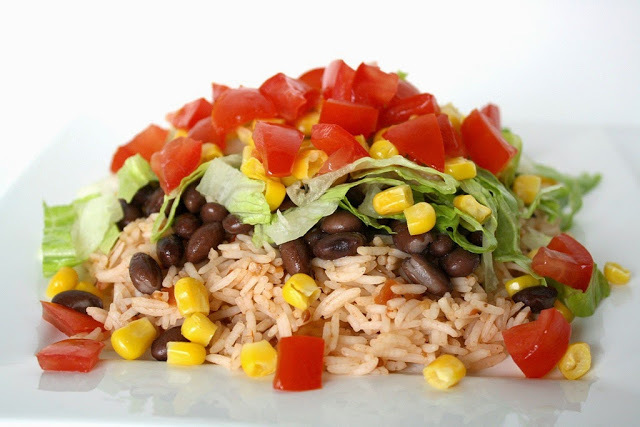 Begin layering your bowl: start with a bed of salsa rice, then (rinsed and drained) black beans, and vegetables. 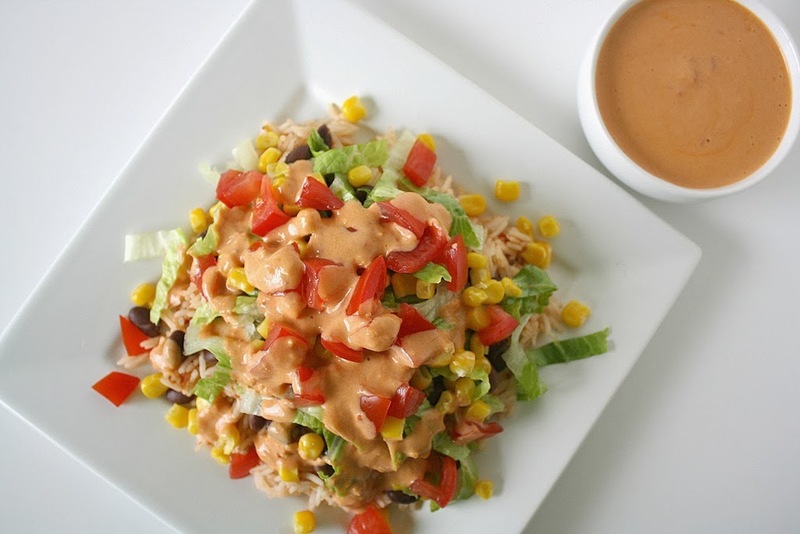 Drizzle the creamy chipotle sauce on top and enjoy. Chipotle sauce recipe yields about 2/3 cup. If the sauce is too thick, thin it out with more lime juice, or water. If it’s too thin, add more yogurt/silken tofu. If you like a touch of sweetness, add some agave. 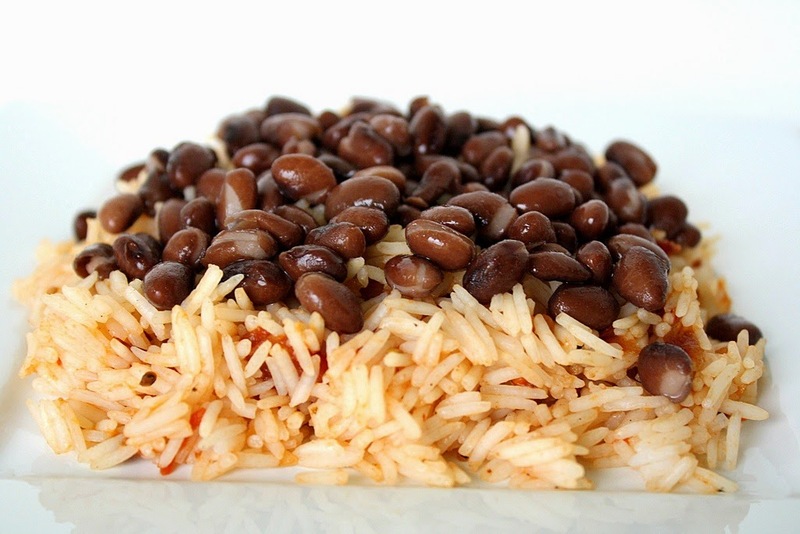 Classic black beans, vegan refried beans, and pinto beans are all great! Lettuce, tomatoes, onion, corn, bell pepper, avocado, cilantro, etc. #4 Get saucy & enjoy! 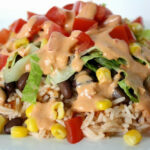 Creamy chipotle sauce, cilantro-lime dressing, restaurant-style salsa, guacamole, salsa fresca, etc. Pick your favorite (or a couple favorites) and enjoy! YUM this is a winner! Delicious! Also salsa rice is a brilliant idea, I will be tryin that out when I make taquitos next! I pinned this. It looks delicious. Awesome Madonna! Thanks for the pin – hope you enjoy! Made it yesterday. It's a keeper! Thanks for sharing! We made this tonight with cilantro, avocados, green onions, and tomatoes. (We left out the corn.) It was fantastic! Hi Nina! Yum – your toppings sound amazing 🙂 Happy to hear you enjoyed it. Thanks for the message! Any ideas on calorie content…. Try black rice instead of white, it's really good and has the same benefits as eating any purple food. I think it's called anthocyanins? 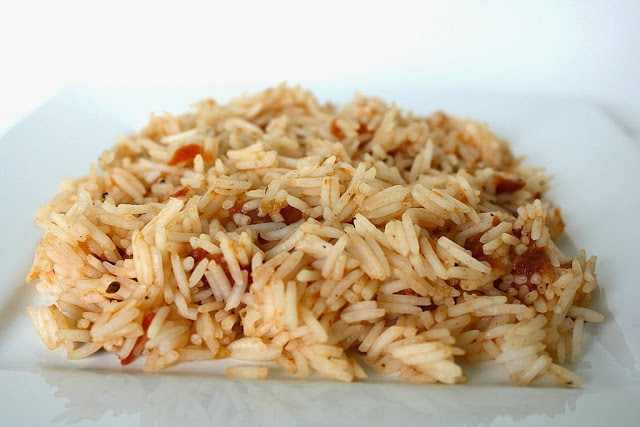 Just made this – followed your directions and it turned out absolutely delicious! What a great idea for something fast, and something that will make multiple meals too! 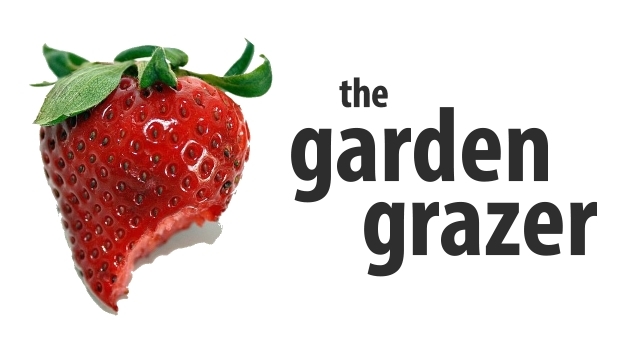 Loved the sauce – thank you for sharing! I made the sauce but its really thick and chunky. Its nowhere near the color in the picture. Its more of a light peach color. The color can vary depending on how much chipotle and adobo sauce you use. Mine is often a lighter color as you mentioned. I have notes on the chipotle sauce page on thinning it out if it's too thick (adding more lime juice is a great way to do that and add more flavor). I'm not sure what would make the sauce chunky as there's nothing really chunky in the ingredients. Did you blend it well? Possibly the garlic didn't blend long enough? Hey Amanda! Glad you enjoyed it! Hmmm… my sauce is never super smooth but I'm not sure I'd call it chunky either. I guess as long as it tastes good, embrace the chunkiness! 😉 Thanks for the message! I followed the directions but the garlic I used had very large cloves. Perhaps I should have used one and cut in half. The sauce was way too garlicky but luckily I can try this again tomorrow because I have everything separate. I am a huge fan of garlic but it seriously just tasted like I ate an entire clove by itself and raw. I will make the sauce again tomorrow when I have this for lunch. Hope you were able to cut back the garlic and enjoy it the second time around! This is a keeper and it's making it's way into Meatless Mondays. I made my beans from dry, used a simple rice pilaf, and I will admit to pure laziness by using a bottle of Taco Bell brand creamy chipotle sauce. Yesssss – that looks absolutely AMAZING!! Thanks for sharing! This looks supper yummy. Going to give it a try today. This recipe is fantastic. Comes to gather quickly and tastes amazing, which is hard to say about a lot of Vegan foods. DH gave it two thumbs up and I am now adding it to my go to cookbook. Have you ever tried freezing the sauce? Hi Sandra! I never have, but I'm guessing it would probably do well in the freezer! 🙂 Let me know if you give it a try! Just made this (sans sauce), and it tasted amazing. Thanks for the idea! What is the nutritional value of this dish? Hi would you mind telling me how many calories are in this burrito bowl? This was delicious! The dressing is to die for and I'm going to use it on a sushi roll. It has a lovely heat. You know how some things are hot, but there's no taste, just heat? This had a zip that was very pleasant and deep. I loved the cool crunch of the lettuce. I did add a little salt. I'm glad there's leftovers for tomorrow. This was SO tasty!! What a colorful, healthy meal. I love that it used a grain "bowl" rather than those fried, chemically-processed taco bowls you buy at the store. This dish is a keeper. I didn't have tofu or yogurt for the chipotle sauce so I made my go-to chipotle sauce that's made with cashews. Thanks so much for a simple, flavorful, guilt-free and satisfying meal 🙂 I just finished eating this dish 30 minutes ago and I'm already thinking about when to make it again lol. Just had to comment AGAIN! I made this dish for my parents and family tonight again. Everyone totally LOVED this, like a lot!!! Thanks so much for a wonderful, healthy meal. THANK YOU! Hi again!! Thrilled you're still enjoying the recipe! 😀 It's definitely a lot of fun to hear you prepared it for family <3 I'm honored! Wishing you and your loved ones a very happy holidays Patricia! Made this last night. First bite and my husband said,"this is really good" with unusual expressiveness! And I felt the same way. It's hard to believe that something so simple to make could taste so delicious! Thank you for the great recipe. Haha – love this so much!! Thanks for your sweet comment, definitely made me smile 🙂 So glad you both enjoyed it! Have a great weekend! Hi, Thanks for the recipe, it looks so easy to make. Can u please recommend any good chipotle sauce? I cant make the sauce from scratch.Any suggestions pls.. Thanks! Hi! If you can't find a vegan chipotle dressing in the store either, you could just use some extra salsa or add guacamole on top 🙂 Hope you enjoy! Delicious burrito bowl! I added some cilantro, avocado, and tortilla strips! Super light and yummy! Made this last night – though not vegan (used Greek yogurt because that is what I had:), added some extra lime juice, and probably 1/8 – 1/4 tsp of honey) – my daughter and I thought it was delicious, my husband thought it was too spicy (he’s a bit of a wimp when it comes to spice.) I also turned this into an 8 servings recipe by serving in tortilla bowls. So so good and a very beautiful dish too! Haha, so fantastic to hear that Alexandra!! And I love that you served it in tortilla bowls – smart! Appreciate you coming back to leave such sweet feedback 🙂 Wishing you all a beautiful weekend!